A coincidence story I saw a while back in the Daily Mail newspaper from a Stephen Wright. It's quite a coincidence. 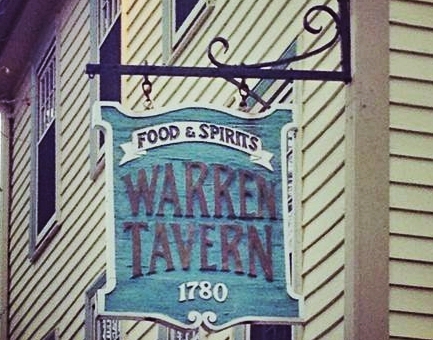 Back in 2004 I was in Boston, in the U.S., looking for The Warren Tavern, a historic inn. Asking a young lady with a pram for directions, I recognised her accent and it turned out she used to live about 12 miles from my home in Leeds [in England]. She told me that after a career as a model she married an American, lost touch with her family in the UK, had twins and the rest was history. On that note we parted. On my return to Leeds the following week, I was in a city bar and this man noticed I was wearing a Boston baseball cap. I asked if he had been there. "No," he replied, "but I have a long lost sister who I think lives there." He proceeded to tell me that, as a model, she married an American guy and decided to stay there. I was certain that this was the girl I had spoken to, so I mentioned that she must visit, or live near The Warren Tavern and left it at that. A few weeks passed and by chance I bumped into this man again and he told me he had managed to trace his sister from the information I had given and they were back in touch again. He was so pleased, he bought me a drink as I recall. Another good one! What are the odds? ?